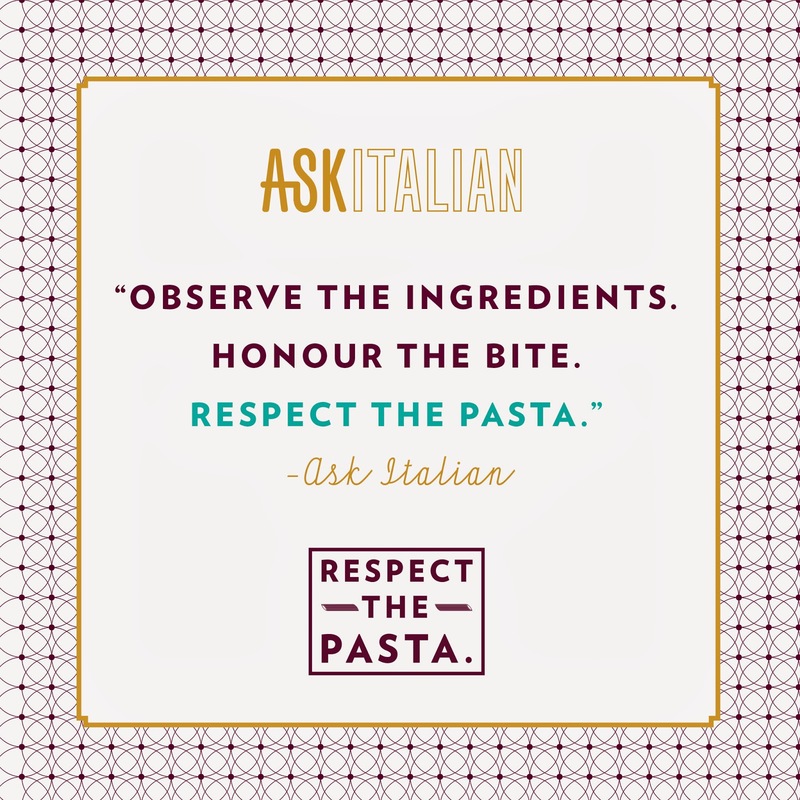 As you may remember, we have been asked by ASK Italian to take part in their Respect The Pasta blogger challenges which we are incredibly excited about! Challenge One is called 'Respect the Cook' and was a very nice challenge to ease us into it as it involved treating ourselves to a meal at our local ASK Italian. As our meal coincided with Mothers Day it really made it a special occasion. We visited ASK Italian in Tunbridge Wells. I hadn't been there for years and my previous experience had been unremarkable, but I was in for a nice surprise. The first thing that struck me was the decor had all been updated. It had a funky fresh feel with a retro twist. I was very happy when we were led to a circular table as I think that circular tables really have the advantage when eating out as it makes for easier conversation with all your companions. I made a mental note that there were a fair few circular tables so it would be a great place to visit with friends too. The menu has been updated since we last visited too. It was pretty tough choosing as so many of the options sounded amazing. Service was super with very warm smiles and nothing was too much trouble. The Respect The Pasta theme carried all through the restaurant with the signage, the menus and even the uniform. The children had their own menu to choose from which also doubled up for colouring and activities, with a picture to colour and a wordsearch on it. We chose a selection of starters to share which included Garlic bread with mozarella which impressively arrived looking the size of a large pizza. A pizza cutter was provided so we could slice it up as we wished. We also chose Sicilian Arancini. Arancini are little risotto balls (literally meaning 'little oranges' in italian because of how they look) and as we'd recently picked some up at the supermarket and loved them, they caught our eye on the menu. And they didn't disappoint! The Stuzzichini was a small platter of Italian goodies. It included pecorino cheese (which I love! ), some salami, noceralla olives (another of our favourites as they are really fresh tasting bright green olives and we get very excited whenever we find these in store or at a restaurant), and some warm crostini dipped in tomato sauce. For our main course, Daddy made an excellent choice that I was totally envious of. He chose the Tagliatelle con Funghi Misti from the 'Pasta Fresca' part of the menu. The fresh egg pasta was truly superb and a perfect combination with the selection of mushrooms it contained in it. I chose the Penne al Pollo dela Casa in the 'from the oven' section of the pasta menu. This is one of my favourite dishes and I regularly choose it when eating out. The last time I had it (not at ASK Italian, I hasten to add) I had been sorely disappointed but I am delighted to say that ASK Italian have got this dish nailed to perfection. With great quality chicken, perfectly baked pasta, and just the right amount of sauce and cheese on the dish it was fantastic. It even came with a little side salad. The children chose the Spaghetti Carbonara from the Kids Menu which they thoroughly enjoyed. Portion sizes for all the dishes were generous and we all felt full after eating our main course. But we have a little family saying which goes like this 'there is always room for dessert!'. So J had a gelati and D had the Strawberry Meringue Stack, which were included in the price of their kids menu, and mum and dad shared the Chocolate Sharing Board - yum! The boys have recently really got into card games and carry a pack of cards with them everywhere - so this is our way of saying that our meal was Ace! If you want to see the menus for yourself, you can find them on the ASK Italian website here. Disclosure: We received a voucher to pay for our meal at ASK Italian. All opinions are our own. Stay tuned to see how we get on with our other challenges over the coming weeks! I don't know about you, but we have always loved marble tracks in this house. Ever since J was small, he has had a fascination with setting up and watching marble tracks - tubes, boxes, toy railway tracks, in fact almost anything that could carry a small glass ball was seized upon to see how it could work with other items to make a track. So when the Haba Ball Track (Medium construction set with looping track) from The Toadstool arrived, J was almost speechless! You can see a video with all their excitement here. He and D pounced on the boxes, pulled out the solid wooden pieces and started building. 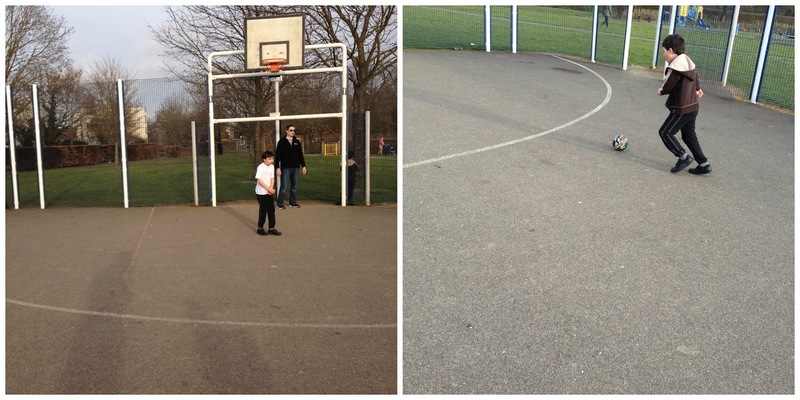 I was hugely impressed with the quality of the tracks - something we are becoming familiar with from Haba. Real wood, carefully crafted to create a range of different track pieces that balance and clip together. The kit includes rubbery plastic clips to hold the wooden blocks together, helping to stop them sliding apart, as well as marbles to kick start the fun! And its not only incredible quality that Haba are renowned for, you can find out more about Haba's eco credentials and ethics here. The packaging describes the product as a ball track. By that, it means marbles, as it makes the perfect marble run and marbles are also included. We were sent a 31 piece set called the Haba Ball Track (Medium construction set with looping track) , an additional set called Haba ball track Clamps and Ramps, and a Haba ball track flexible ball track addition. With that we managed to cover the table, slide marbles down the flexible tube safely towards the floor, and then roll down more slopes. There are various other kits available as add-ons to the ball track - you can see some of them here. There is a large choice available and if you need any advice about what sets would be suitable and which add-ons would work best in combination with what you are purchasing, then our experience of The Toadstool is that you only need ask to get excellent product advice and assistance. One of the things we really loved about the ball track was that there is complete flexibility in the way you set it up as a marble run. There is no right or wrong way to do it and you can try out lots of different combinations to see what works best. That is brilliant for learning and developing imagination and problem solving skills. This incredible flexibility means that this product has fantastic play value as it can be used creatively with additional cardboard tubes you have from packaging (eg empty giftwrap tubes, kitchen rolls etc). You could easily also combine it up with any other wooden blocks you have to make even more combinations of marble run. When the boys aren't busy playing with the Haba ball track, we find that Miss T likes to sit quietly and 'experiment' with the pieces. She will pop marbles in different holes to see where they come out and she enjoys rolling the marbles down single pieces of the track even when they are not all put together. I love watching her at play like this as you can see her totally absorbed in her 'investigations'. Of course, she also loves the excitement of seeing Daddy, J and D building the biggest marble runs they can with the set! As an added bonus, this is a toy with real 'slow toy' appeal - no batteries required, ethically and sustainably made, extremely durable and high quality and of course hours of fun. It is aimed at children aged 3-10 but I can see this appealing to my children even longer than this because of their interest in marble runs. We absolutely love the Haba ball track in this house and it is definitely a set that we could keep adding to with the additional add-on products available over many years for extra fun and excitement! Disclosure: We won these Haba products in a blogging competition with The Toadstool. We wished to write this review of the products because we love them! All opinions are our own. 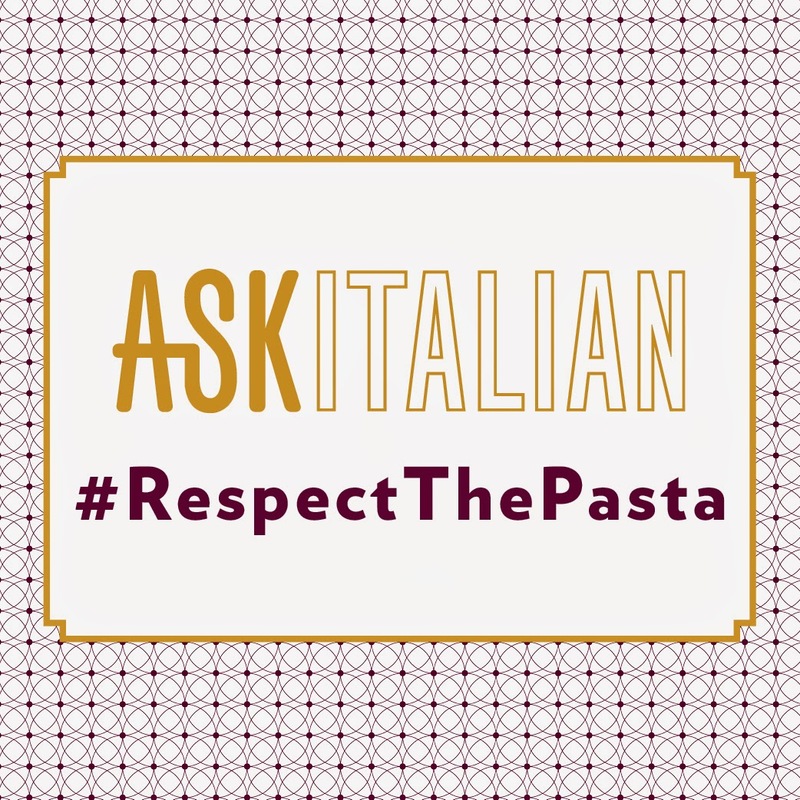 We are SOOOOO very excited to tell you that we will be working with ASK Italian over the coming weeks taking part in a series of Pasta related challenges to remind people to 'Respect The Pasta'. ASK Italian have been working with celeb chef, restauranteur and champion of Italian food, Theo Randall (who we loved watching on Channel 4's What's Cooking during our homeschooling days last year) to see pasta as an exciting and creative part of cookery rather than simply a back-up store cupboard ingredient. We are delighted to be taking part and we enjoyed our first challenge today - which we will tell you more about soon! 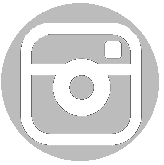 I'm getting my post ready early to link up with Coombe Mill's Country Kids on Saturday - if I forget to link up - someone remind me! And the lovely Honey from Giraffe in the Bath tagged me a few weeks ago to do a week in pictures post - so I'm going to include that here too. We've hardly managed to get to the park lately. The really big park near us was totally submerged under water until recently and our other local parks have also been too wet to enjoy. But when Daddy managed to get home early from work one evening, we headed to our local park for a kick around with the ball. 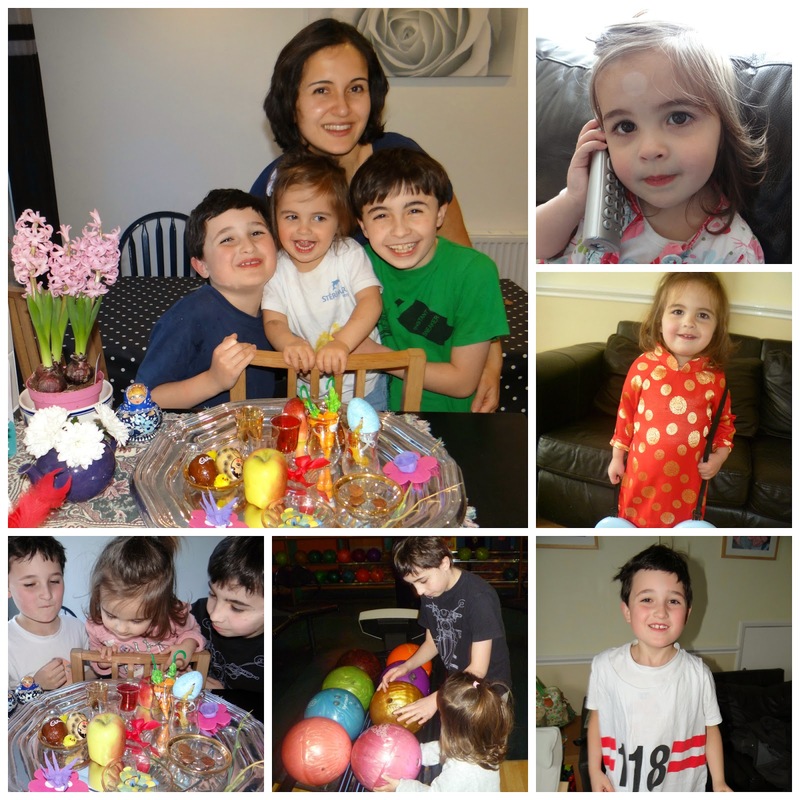 Just to make sure I get around to linking up with Ethan's Escapades Small Steps - Amazing Achievements linky this week - I am writing up my post in advance. We're all still under the weather with a few coughs and colds but I am determined to try to keep up with a bit more blogging this week! Well after the surprise of J being so keen to dress up as a pirate for world book day a couple of weeks ago, we had a further surprise when he desperately wanted to dress up for tudor day at school last week. But what happened this evening is what I really want to stand on the rooftops and shout about! I have to remind myself just how difficult things were throughout reception year, year 1 and part of year 2 (until we home-schooled for the second half of year 2). J was constantly stressed and upset by school. He wasn't learning anything. He wasn't making progress and he certainly wasn't anywhere near reaching his potential. School was a battleground - for him and for us. His teachers lacked empathy and understanding and had virtually no knowledge of ASD and how best to meet J's needs. J has sat practise YR 6 Science SAT's papers this week. He has done amazingly well and scored a 5C. You should be congratulated for the amazing job you have done in home schooling him, with this great starting point and the speed at which he grasps new concepts at school he is definitely destined for great things. I just want to climb up onto the rooftops and shout it out! It is what we knew and believed all along. That he had potential - he just needed someone who cared and understood to help him achieve that potential. We are so thankful to his new school and we are so proud of our son who had previously been written off by the education system. 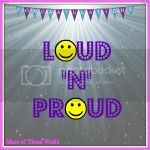 To those who have only been reading this blog since January and thinking 'here's yet another post about how well J is doing', I make no apology about it - everyone who knows J's journey going back a few years to when he first started school will understand just how difficult things were back then and just how significant this is. Talk Talk have come up with a fun quiz looking at TV viewing habits. If you take the quiz, you can find out which of the 8 'tribes' you belong to. We decided to both take the quiz because I had thought we would both fall into the same 'tribe' category. But it turns out I was wrong. It turns out that I am a 'Me-timer' along with 34% of the nation. The sentence saying 'I never miss an episode of my favourite shows' is extremely accurate. When it comes to things like Dr Who or Miranda - I would make sure whatever it took, I would be there sat ready to watch it on TV. Recently we've also been enjoying the new Jonathan Creek series and also Ben Fogle's New Lives in the Wild. Shows like 'Double Your house for half the money' also catch our interest as we recently had an extension done so can relate to what those on the show are going through! During the daytime, I definitely let the kids take control of the TV but in the evenings, the telly is all mine for my me-time. Since we started blogging, getting a night in front of the TV has taken on even more importance and significance as I don't know about you, but blogs tend to have a habit of taking over our lives and every bit of spare time. So I really look forward to the 'me-time' I manage to get watching TV. Daddy turned out to be in 'The Elitist' tribe along with a mere 12% of others. I think that at the moment that is an accurate description of him as he doesn't get the chance to watch more than only 1 or 2 hours of TV a day. But when I think back to our days before we had children, given half the chance I think he would definitely be more of 'The Secret Viewer'. I think we both would be as we used to love our Soaps but nowadays I wouldn't even admit to it. We both just don't have the time to watch more TV but I have a feeling that if we did, we definitely would! When the kids are watching children's TV, there is one spot that they all fight for as the best 'TV watching spot'. Miss T nabs the children's favourite TV viewing seat! They always find it funny when I tell them that when I was young we could only watch kid's TV for a short time after school (remember Philip Schofield in his broom cupboard?) They just can't get their heads around this because nowadays they can watch children's TV anytime of day. When the children were born, I remember thinking that I would want to have strict limits on the amount of TV they watched each day. But I have come to love children's TV as much as they do. So much of it is so educational - from the programmes aimed at toddlers which help them learn colours, numbers and shapes, right through to programmes like Gastronauts which help them learn more about food, and programmes like Richard Hammond's Miracles of Nature which linked science and the world around us brilliantly! Now I don't try to limit them. I let them enjoy TV - it is a great way to relax and we all learn lots from it too. 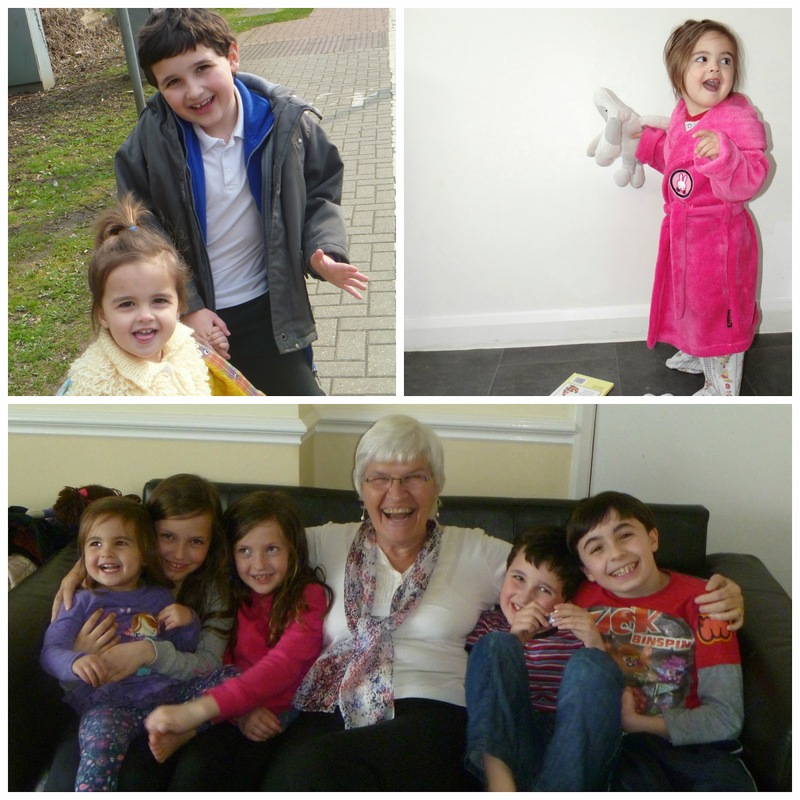 Weekends are a special time for us all as a family because that is when we all sit down together to watch a film or a programme that we all like. We tend to squeeze onto the sofa together and all agree on what to watch. A couple of years ago, I remember planning a whole weekend around watching TV because we wanted to watch all the back-to-back episodes of The Sarah-Jane Adventures. We also often reminisce about one of our favourite family TV moments which was Mr Bean in the opening ceremony of the 2012 Olympics. That still brings us all a giggle when we think about that. 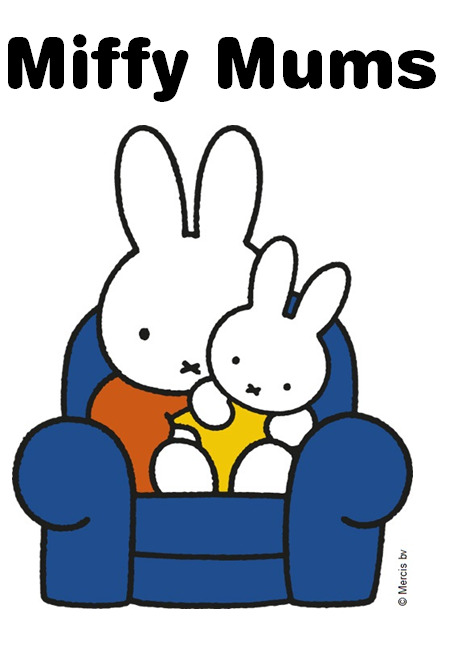 So I think if I had to pick my favourite TV moment - it wouldn't actually be a 'me-time' moment but instead it would be us watching TV together as a family at the weekend. I love nothing more on a rainy day than staying indoors to enjoy a programme or film together. We even make some hot chocolate with cream and marshmallows and nibble on biscuits too. So that's my perfect TV moment - although perhaps with a few less squabbles over the remote. If you take the quiz too - we'd love to hear which TV tribe you belong to! This is our entry into the Talk Talk TV moments competition. You can find out more here. Kids in the Kitchen - Easy Peasy Potato Cakes, Minion Cake, and Curry. I've been feeling a little under the weather this week and have hardly turned on the computer and instead opting for early nights. But still feeling exhausted. D was off school again this week. It turns out one of the big negatives of being at school rather than home-schooling, is that the kids pick up lots of lots of bugs. I could probably count on one hand the number of sick-days we had in our three years of homeschooling and yet in a couple of terms of being back at school and the kids have been ill on so many more days already. But I didn't want to miss what has become our favourite linky at the moment as it really keeps us motivated to keep cooking. Thankfully I usually take the photos the week before each week's linky goes up on Raisie Bay so although we've been feeling unwell this week, this post is about some of the cooking we did last week. 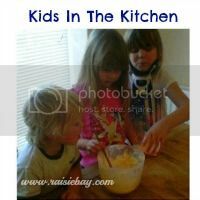 I was very glad to read that the Kids in the Kitchen linky is about what we get up to in the kitchen and you don't even need a proper recipe to link up which is just as well as this week is a bit of a mish-mash of several bits and pieces of cooking. Firstly, Miss T had helped me make D's Minion Cake for his birthday. She did her usual mixing eggs and measuring out the flour, margarine and sugar. We actually made a really simple microwave cake recipe (which cooks in only 4 minutes in the microwave!). I had kept a couple of the plastic bowls from Christmas puds which is what gave me the idea of making a minion cake as they looked roughly the right shape. When we found we had a few leftover boiled potatoes, D helped me turn them into very basic potato cakes. We hate letting food go to waste and as everyone was fed up of boiled potatoes and mash - So Potato cakes were the answer. There's not really a proper recipe as such - simply mash the potatoes, mix with a couple of eggs and fry in some oil. I think we also added a little black pepper. Whilst we are on the topic of leftovers I had some Aubergines to use up as I had bought several for when we made our Foodimal Peacock. So I was going to make a basic aubergine curry. But as I was making it, it started to smell a little like Katsu-style Japanese curry which I love so much but can't seem to buy any kind of sauce in the supermarkets for it. So I just wanted to note down the ingredients I used in case I ever want to try to make it again. Note it is not proper Katsu but just seemed to have the flavouring of Katsu style sauce. And it is not a proper recipe as I just tweaked the amounts as I went along to get the flavour I liked. I started it off on the hob and then cooked it in the oven on a really low heat for a long time. So a bit of a mish mash of things we did in the kitchen last week. The kids didn't even help with that last one so technically it shouldn't be on this post - but I just need to note it down to remember it for myself! No sooner had we announced the exciting news that we had been asked to be part of the Nintendo Family Blogger Network, than we receive a special delivery! To celebrate the release of the new 3DS game Yoshi's New Island, Nintendo had kindly arranged for us to receive a big chocolate egg with Yoshi himself hidden inside along with a copy of the new game to review. The egg arrived broken and I thought the kids would be upset by this but it turned out that the boys were extremely excited. They'd already seen the trailer for Yoshi's New Island and told me that Yoshi gets a big egg as a special power and then once it's been used it smashes. So for them, the broken egg was really cool as it was just like what happens in the game. (Besides, chocolate still tastes great whether its broken or not - so it turned out that the delivery guy was forgiven after all). Now onto the game. It is a 3DS game and like all Nintendo 3DS games, it is compatible with a Nintendo 2DS which was great news for us as we don't yet have a 3DS. As I'm not the expert in the family on these matters, I personally can only tell you that Yoshi's New Island has a catchy tune and has kept the kids busy since it arrived. There are bosses you have to defeat. They aren't too difficult. I would like to know how many worlds there are - I'll have to keep playing to find out! Since we got it I have played it a lot. Every time you get hit, you have 10 seconds to rescue baby Mario. If you don't, you lose a life. I've got 4 lives left. When you complete a level, you get one more life. Baby Luigi got stolen and Baby Mario fell down onto Yoshi's Island and the Yoshi clan decided to help him. The Yoshi clan, Baby Mario, Baby Luigi and Baby Bowser. And who is your favourite character from the game? And why is he your favourite? Because you have to rescue him. Find Baby Bowser's lair and rescue Baby Luigi. It is a bit tricky at first but then once you know all the controls it is easier. Tell us a bit about the controls you use. A to jump, B to gobble, X is toss egg, make egg is down, and Y is lock cursor. Who else do you think would like it? Anyone who likes the Mario characters and people who like platform games. A game where you have to jump between platforms and over obstacles. What score would you give it out of ten? I think we'll end the review there as I think that score says it all. 11 out of ten. Wow! Thanks Nintendo for sending us such a great game to try out. Disclosure: We were sent a copy of Yoshi's New Island as part of the Nintendo UK Family Blogger Network, to keep for the purposes of this review. All opinions are our own. Can Moshi Monsters change the World? I'm going to tell you about our great day out at London SEA LIFE Aquarium to celebrate the launch of Moshi Marine Force. It would be easy to share the excitement of the new Moshling Lubber - the Whimsical Whale and tell you all about the fantastic meet and greets we had with Poppet, Katsuma and Buster Bumblechops - but I don't want the important message behind it all to be lost in all the excitement. That one about the rainforests really shook me up. 'At the current rate of deforestation, there will be no rainforest left by 2060!' That is within our lifetimes. Miss T won't even have reached 50 by the time that is predicted to happen. But we needn't just sit back at let it happen - there are simple steps we can all take to stop this from happening. Reducing our consumption of paper, and recycling, using certified, sustainable sources of wood and even eating British beef can all help. A lot of rainforest is destroyed to make way for land for raising livestock for beef - so that is why buying locally sourced British beef can reduce the demand for imported beef and thereby help reduce rainforest destruction. Now let me tell you about the rest of our day and then I'll come back to why I believe that Moshi Monsters really can change the world! The Moshi Marine force launched at London SEA LIFE Aquarium but will be going on tour at SEA LIFE centres around the UK, so if you can't get to London, don't panic - hopefully there will be one near you. I have listed the dates at the end of this post. The kids were given Moshi Marine Force hats and activity books to help them in their search for spotting 6 marine moshlings in the tanks around the SEA LIFE centre. Lubber the Whimsical Whale is a new moshling that has just been launched in-game and as a moshling figure available to purchase - so searching for Lubber was particularly exciting (Once the activity books are completed you get a code for the in-game online version of Lubber along with a certificate to show that you are now a Conservation Hero). All set for our Marine Force Adventure! There were even some stunning penguins to see who were just magical to watch as they dived in the water and as we could see the underwater part of their area, we could see just how majestic they looked. It was as if they were flying in the water - spinning and swooshing and splashing as they went. We spotted some other very special creatures too! The meet and greets were great fun. Meeting Buster Bumblechops was a real highlight for J as he dressed up as Buster a couple of years ago for Switchy Day. Miss T found the 'meet and greet' Poppet a bit too big so she preferred seeing this version of Poppet. Another highlight for the kids was being able to take along their duplicate moshlings to swap. I have to admit that I was a little nervous that this might end in tears as I imagined that all the rare and ultra rare moshlings would be quickly snapped up - but those clever folks at Moshi had already thought of that and had created a swapping system to make things fairer where a certain number of common moshlings could be swapped for a rare or ultra rare moshling. So my boys were very happy customers doing their swaps. Moshi Monsters have created this video of the launch of Moshi Marine Force - starring none other than my two boys - look out for them at the very end of the video! So not only did we have an amazing, fun, educational day out but I hope that my three children have learnt a little about how important Marine Conservation is and how much our planet depends on it. And whilst my three children alone probably can't manage to save the 70 million sharks that are killed each year for their fins or prevent the seas from being overfished to be point of extinction of some species, I firmly believe that a brand as strong as Moshi Monsters with such an engaged and loyal following, with its 90 million plus users worldwide really can change the world. So well done Moshi Monsters for getting involved with this initiative and we look forward to seeing what else Moshi Monsters will do to change the world. Mr Moshi for Prime Minister? * We have been provided with the details of these dates, but please check with the venue before travelling to double check. Disclosure: As Official Moshi Bloggers we were invited to this event to launch the Moshi Marine force initiative. We received admission to SEA LIFE London Aquarium and Moshi goody bags for our participation. All opinions are our own. Happy Birthday 8 year old!